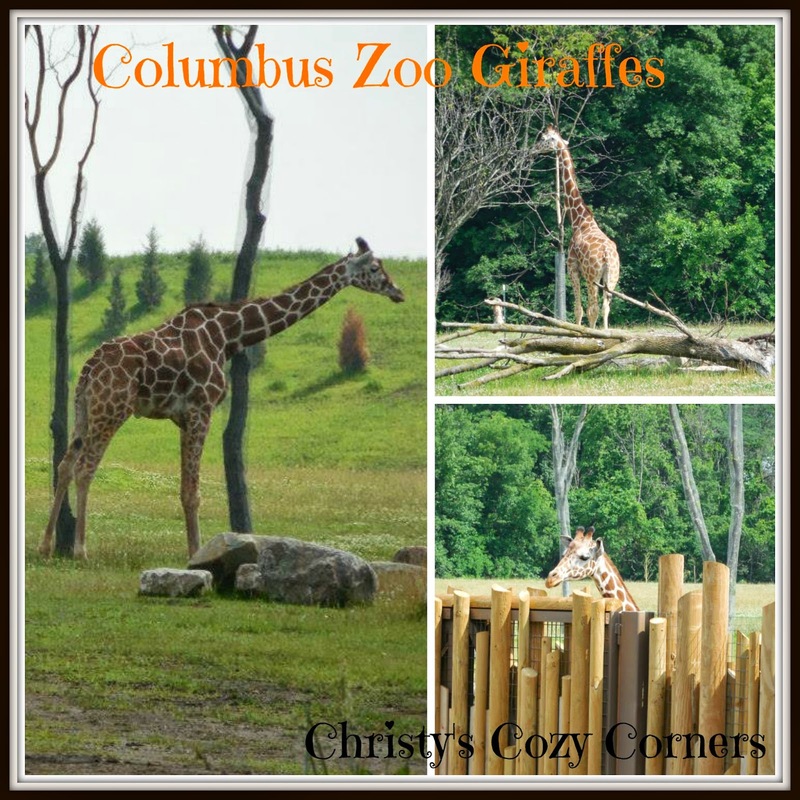 You are here: Home / Travel / Columbus Zoo and Aquarium: Roar and Explore! 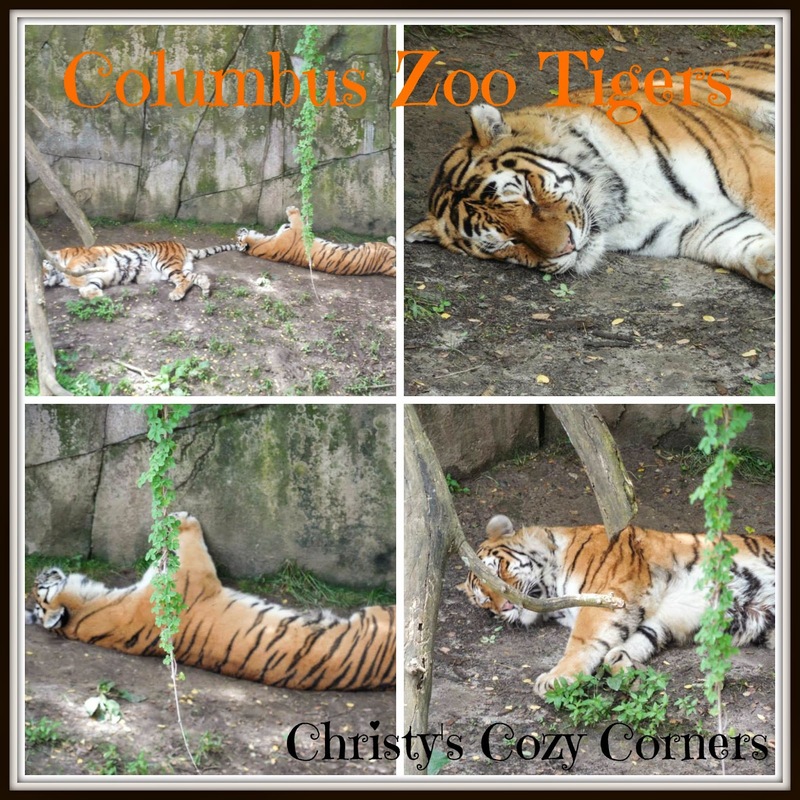 Columbus Zoo and Aquarium: Roar and Explore! In all of the years I’ve lived in Ohio, I’ve never been to the Columbus Zoo. For some reason I’ve always had the mindset that Columbus, OH was way too far of a drive from Massillon,OH. Well, driving 16 hours from Florida to home has sort of changed my perspective of what a long drive is. Two hours is nothing when you have so many amazing things to do in Columbus! 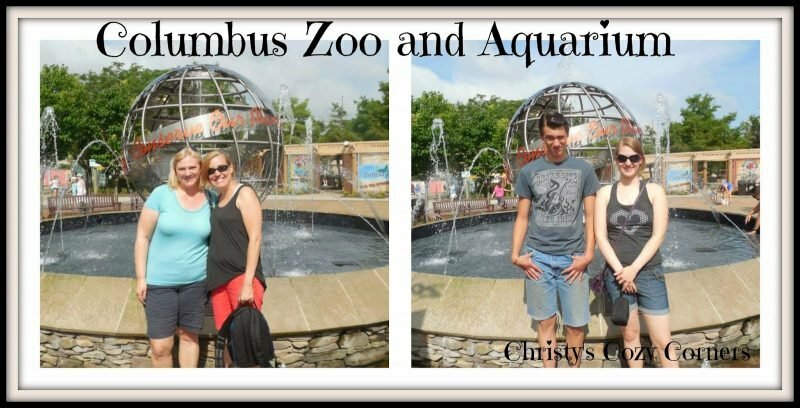 If you live within a couple of hours of the Columbus Zoo, you definitely need to make a day trip to the zoo If you don’t live close, you still need to go! There are plenty of hotels in the area from which to choose. Make a weekend of it! 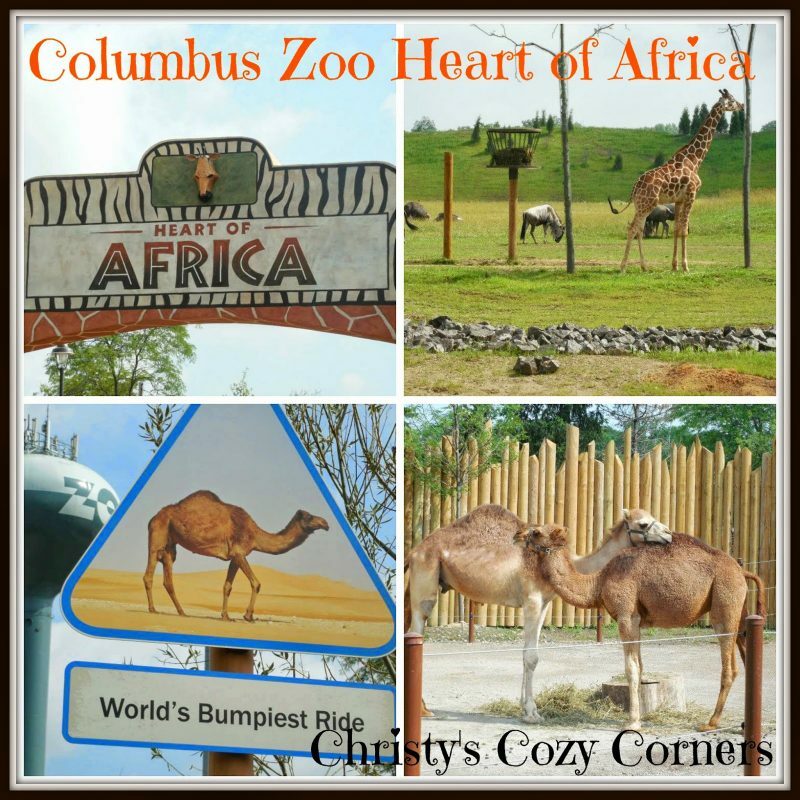 In May of 2014, the Columbus Zoo opened their Heart of Africa Exhibit. It is amazing! You get an up-close experience to so many animals! The first animals we saw in the Heart of Africa were the camels. Did you know that a thirsty camel can drink 30 gallons of water in 15 minutes? One of the super fun things at the Columbus Zoo is the information you get at the many exhibits! Not only do they tell you about the animals, they also tell you where they are on the endangered species list. Thankfully the dromedary camel population is very stable. I love cheetahs! In fact, if you know me at all, you know I’m a crazy cat lady! So even the big cats hold a special place in my heart. The cheetah area of the Heart of Africa in the Columbus Zoo features a cheetah run where the zookeepers allow the cheetahs to run laps a couple of times a day. A cheetah can go from 0-60 MPH in 3 seconds! Unfortunately, Columbus had had quite a bit of rain in the days prior to our visit and the area was too muddy to allow the cheetahs to run. Instead of running the cheetahs, the trainers brought a cheetah out for enrichment activities. We were very privileged to see the very first time that the trainers brought this vehicle into the area. They made it a pleasant experience for the cheetah by offering rewards each time the cheetah interacted with the vehicle. The trainer actually got the cheetah to go to the top of the vehicle the very first time! It was so exciting to see. You can tell that these trainers love their jobs and that the cheetahs trust and love their trainers at the Columbus Zoo! Giraffes are also part of the Heart of Africa at the Columbus Zoo. Who doesn’t love giraffes with their long necks and beautiful eyes? A giraffe was my first stuffed animal! Seeing these beautiful animals right outside of the cheetah run was so cool. See the giraffe on the bottom left? She was actually watching the cheetah interact with the vehicle. It was so cute! She was watching very intently. I wonder what she was thinking. The giraffe area in the Columbus Zoo also had ostriches, zebras, wildebeests, and gazelles. It truly looked just like I would imagine the plains of Africa to look. The Heart of Africa at the Columbus Zoo includes several more animals and the music, decor, and shops give you a total immersion experience you will not forget! Another section of the Columbus Zoo is the North America Exhibit. You will meet the American bison and the bobcat here. The bison was shedding its winter coat when we visited. It is HUGE! A bull can weigh anywhere from 770 lbs. to 2200 lbs! The bobcats were so pretty! They were much smaller than I expected them to be. They really aren’t that much larger than a house cat. They weigh anywhere from 15 lbs. to 30 lbs. The female, or queen as she is called, has white spots on her ears so her kits can easily find her. This is another fun fact you’ll learn during your visit to the Columbus Zoo. Did you know that the bald eagle was down listed from the endangered species in the year 2000? This is great news! I know people who have actually seen them in the wild. How cool would that be? 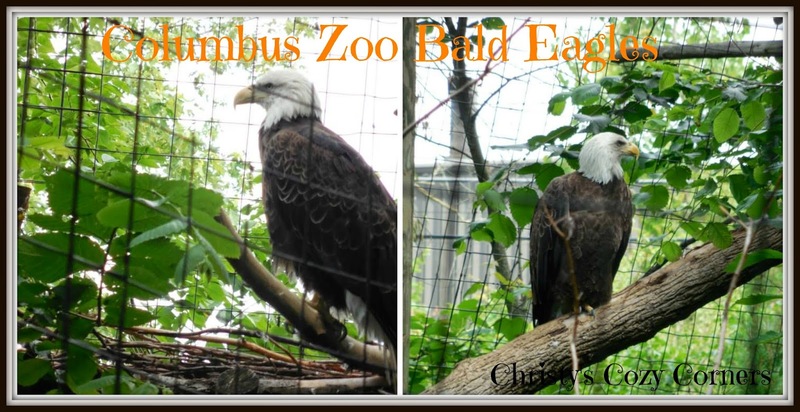 At the Columbus Zoo you can see four bald eagles and their huge nest! We read that the largest bald eagle nest was over 15 feet deep! I really appreciate what the Columbus Zoo does for conservation efforts. As you can see from the sign, these are two Alaskan Brown Bears that live at the Columbus Zoo. They are so big! I thought for sure they were grizzly bears, but no! They are brown bears. I do not think I’d do well living in an area where bears live. They are beautiful, but I wouldn’t want to run into one of them in the woods! These two guys are named Brutus and Buckeye! What perfect names for these two Columbus, OH bears! I wonder if they can spell out O-H-I-O. G’day, mate! The Columbus Zoo makes you feel like you’ve taken a trip to Australia when you go through this exhibit. Koalas were my favorite animal when I was a little girl, and I still love seeing them up close and personal. Koalas sleep 23 hours a day! What a life! We got to see some really unique birds in the Australian exhibit. The kookaburra birds made us break out in song! Kookaburra sits in the old gum tree, merry merry king of the bush is he! There are many more interesting animals in the Australia exhibit at the Columbus Zoo including the adorable Feathertail Glider, Kiwi, Asian Small Clawed Otter, and the Porcupine. And, of course, there is the Kangaroo Walkabout! The Columbus Zoo kangaroos are very comfortable with people as you can see from the last kangaroo in the picture! She was just lying in the walkway! The zoo volunteers watch over her, and they make sure no one tries to touch her while she sleeps. They sure know how to find the shady spots too. While it wasn’t unbearably hot the day we visited, it was much cooler in the shade! Did you know that a female kangaroo is called a flyer? I knew the babies were called joeys and the males called boomers, but I don’t think I ever knew the female is a flyer. I wonder how they came up with that? A kangaroo can leap 26 feet in a single bound! Good thing they aren’t eligible for Olympic medals 🙂 This is just another interesting fact you’ll learn while visiting the Columbus Zoo. The Columbus Zoo Aquarium is another beautiful exhibit. I was so excited to see the Florida Manatees! I did not know they were at the zoo since I’ve never seen one at any zoo I’ve been to. These were just resting while we were there, but it was still so cool to see them. There are only about 3,000 manatees left in the wild. The other fish at the Columbus Zoo are also very beautiful and fun to watch. My favorite, of course, are the blue fish that look like Dory from Finding Nemo. I also loved the fish in the last picture. They look almost completely flat. I thought they looked like they were made from aluminum foil! The tigers can be found in the Asian Quest Exhibit at the Columbus Zoo. Like the typical cats they are, they spend most of their time sleeping the day away. They are beautiful to watch, but I certainly wouldn’t want to run into one in the jungles of Asia! The Asian Quest Exhibit also features Sun Bears who are the only bears that don’t hibernate. You’ll also see Asian elephants and a black rhinoceros. We wanted to see the Red Panda (which is not a bear at all! ), but it was hiding out in one of its huts. I don’t blame it…anything to keep cool on a warm summer day. Penguins are always a big hit, and the ones at the Columbus Zoo are no exception. There was a large crowd gathered around to see these little guys! When we first walked up, they were hiding back in their little cave. Then they came out to take a quick swim in the cool water. It was so cute watching them walk up to the very edge of the rock and then dive in. You could just see them thinking about it. Then there are the polar bears which are another popular animal at the Columbus Zoo. The one in the picture loved that tree! He kept rubbing his cheeks on it. We thought maybe there was an A/C vent in that hole! He sure wouldn’t leave it alone. 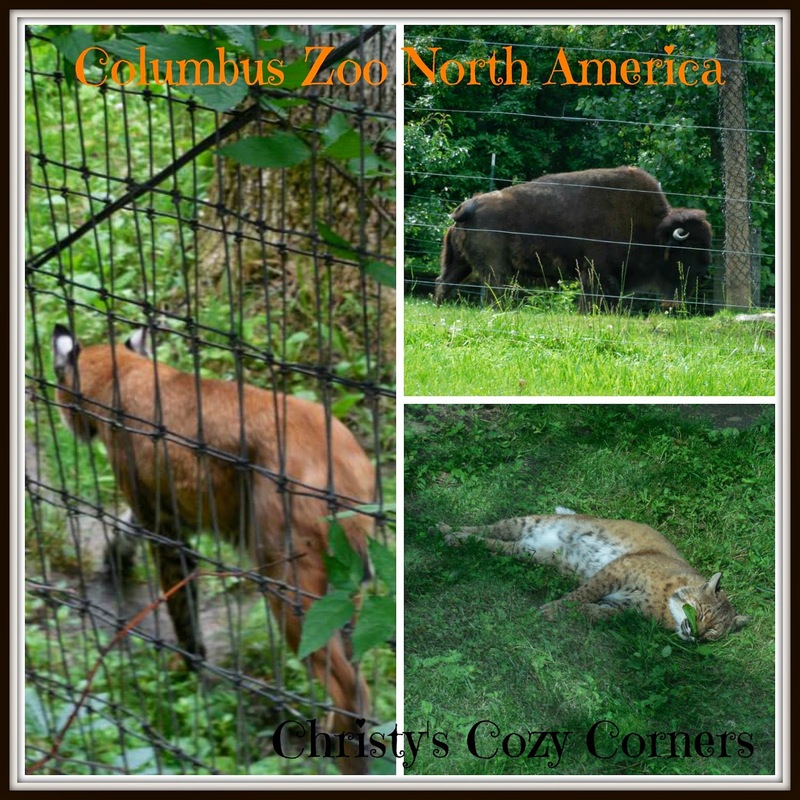 If you are wondering about the cost of visiting the Columbus Zoo, it is really very reasonably priced. The price for adults is $14.99 and children aged 2-9 are $9.99. Seniors 60+ tickets are $10.99 and children under 2 are free. 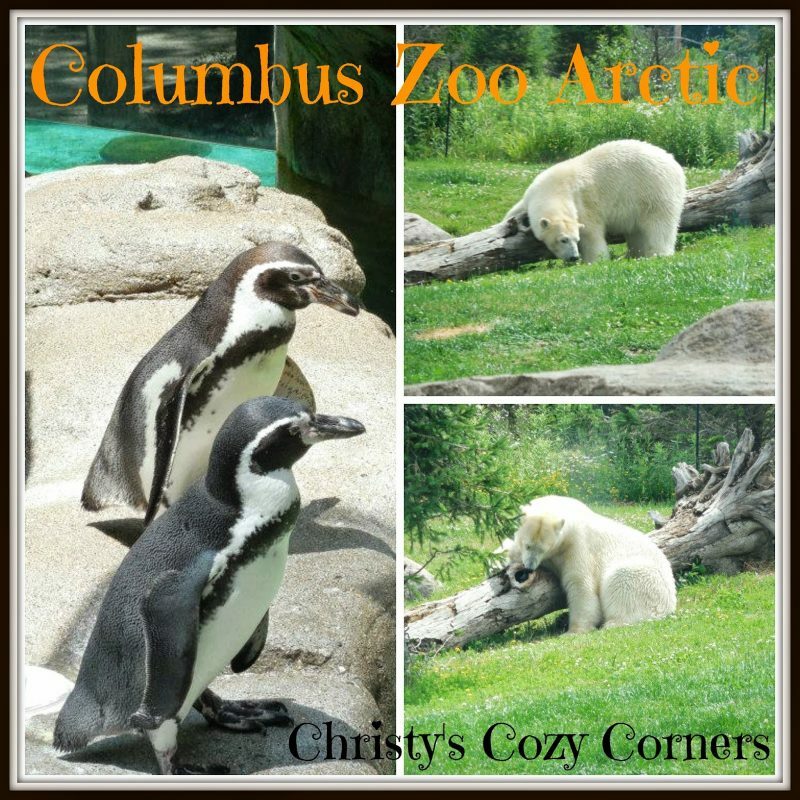 This is certainly worth the price and the Columbus Zoo is worth the visit! 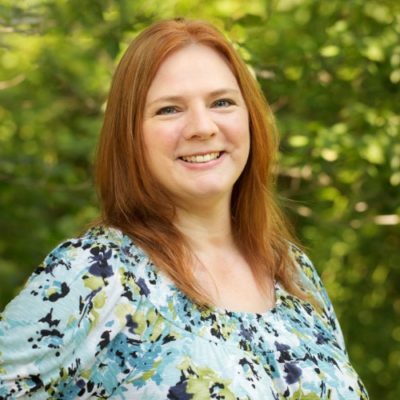 You can follow the Columbus Zoo on Facebook and Twitter! If you have questions regarding hours, directions, places to stay, or other questions, check out the Columbus Zoo website.